Tired of hiding in those mittens and boots? Well we can't make the cold weather go away but we'll be happy to treat one lucky reader to a warming manicure + pedicure treatment at Lux Spa - a clean and minimalist beauty spot known for its stellar customer service, boutiquey feel and extensive selection of premium nail lacquers. 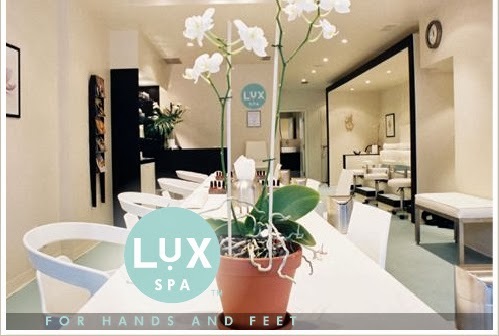 This posh Yorkville location is dubbed the "social spa" - making it the perfect place for you and the girls or mommy-dearest to get a quick mini mani-LUX ($33) before hitting the shopping mecca on Bloor St West. If you work closeby, escape the rat race and step into instant serenity. We can't think of a better way to spend our lunch hour than indulging in their signature mani-LUX ($30 during the month of January) which includes a scrub and relaxing massage. Not in a hurry? Stop by after work or on the weekend and reward yourself with their choco-LUX decadent treatment ($48 mani/$68 pedi). Antioxidant-rich cocoa extracts are used to nourish and hydrate thirsty hands and feet. I recently stopped by after running around the city from one meeting to another and treated my tired and aching feet to the hydra-LUX treatment ($78). The paraffin-based masque was warm and soothing and the tropical tea-tree oil massage had me floating in a heavenly bliss. Book your 45 mins mani-LUX appointment this month for only $30 or the 60 mins pedi-LUX for $50 or better yet, treat yourself to both! 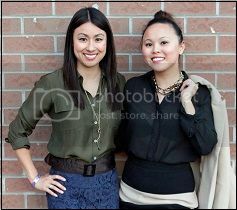 Also enter our Winter Blahs Contest where we'll be giving away a manicure + pedicure treatment to one lucky reader! To enter, help us promote this special by Tweeting "Warmup with the @HipUrbanGirl and @LuxSpa Winter Blahs Special & Giveaway! Mani-LUX $30/Pedi-LUX $50 http://www.hipurbangirl.com/2014/01/winter-blahs-contest-specials-at-lux-spa.html"
Contest ends Friday, January 24 at 11pm EST. You may want to try it again. The Tweet is only 123 characters.